Over the past decade there’s been a growing trend of people choosing the path of location independent work. Thanks to the power of the Internet, working from home doesn’t just apply to those who skip the morning commute. More and more web developers, programmers, and graphic designers are choosing to completely relocate and make a new home in their dream location. 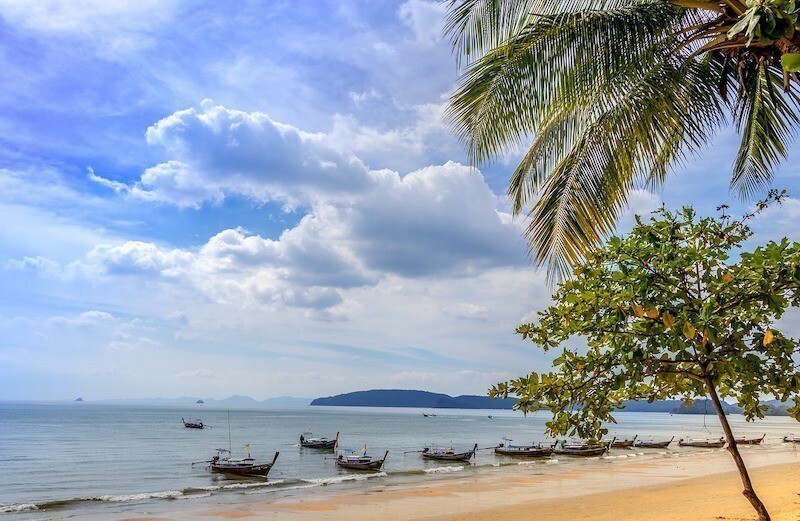 For many, Thailand—with it’s warm climate, white sand beaches, and laid back culture—is just such a paradise home. Here are some of the top reasons why working in Thailand can be the best decision you’ll ever make. Let’s face it—winters in northern Europe and many parts of the US can be downright brutal. The cold and snow can be bad enough, but what’s even more depressing is having to do a long morning and evening commute in total darkness. As a tropical country, the coldest day in Thailand’s cool season is probably the equivalent of a mild spring or autumn day where you’re from. As an added bonus, there is less seasonal variation of daylight hours due to being closer to the equator. Seasonal depression from a lack of sunlight is a real issue for people living in many countries around the world, but not for anyone living in Thailand. From experience I can say that the huge portion sizes you receive at most restaurants in America do not encourage healthy eating. Furthermore, many people’s diets are heavy in carbohydrates, fats, and sugars. On top of this, dealing with the long cold winters often means many hours sitting around watching TV for lack of anything better to do. 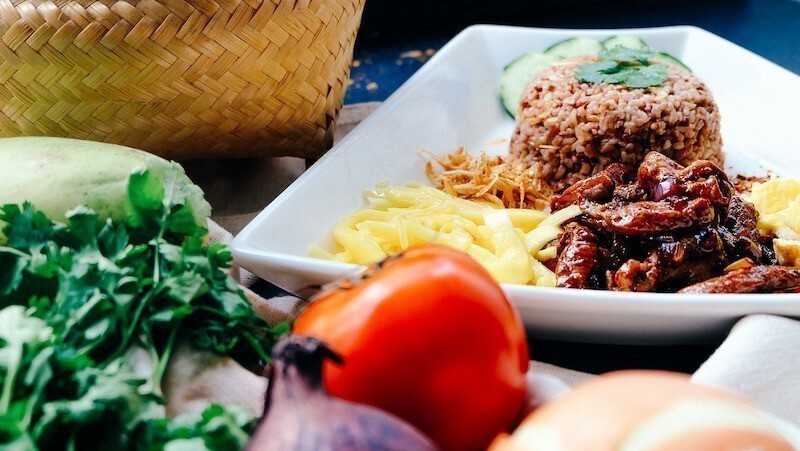 In contrast, a diet of mostly Thai cuisine can be quite healthy. Fresh vegetables are used in the preparation of many dishes, and there tends to be a good overall balance of interesting flavors—especially if you like spicy food. Thailand also has an abundance of cheap fresh fruit to enjoy, so you’ll never be lacking for vitamins. If you enjoy organic, vegetarian or vegan cuisines, there are plenty of local markets and restaurants for very affordable produce or meals. The warm weather helps to encourage a more active lifestyle as well. For example, you may find an apartment complex with an outdoor swimming pool to use year-round. Many Thailand-based expats also enjoy training in Muay Thai (Thai kickboxing) to keep fit. Cycling and yoga are some other popular fitness trends among those who come to work in Thailand. Tourists flock to Thailand in large numbers to enjoy a relaxing sunny holiday with the few vacation days they’re allowed to use each year. 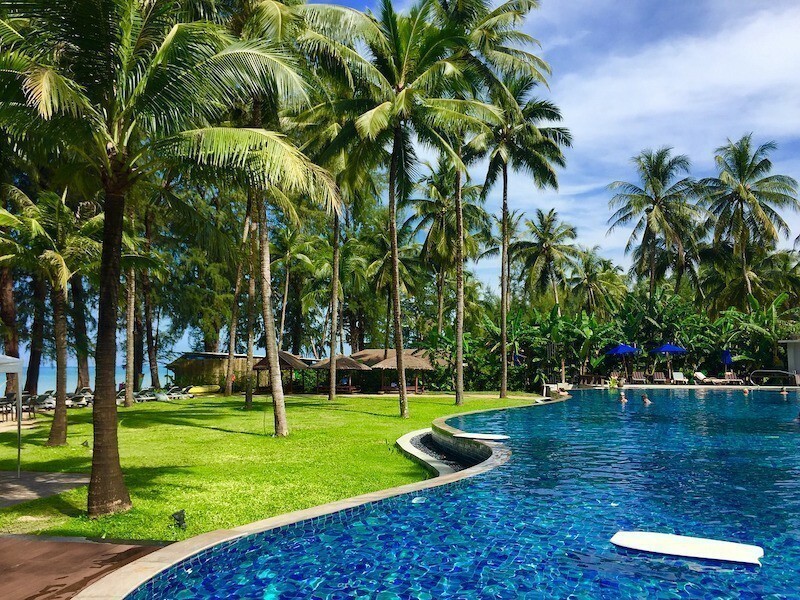 Why not reap the benefits of a slowed-down pace of life all the time by working here in Thailand and making it your home? 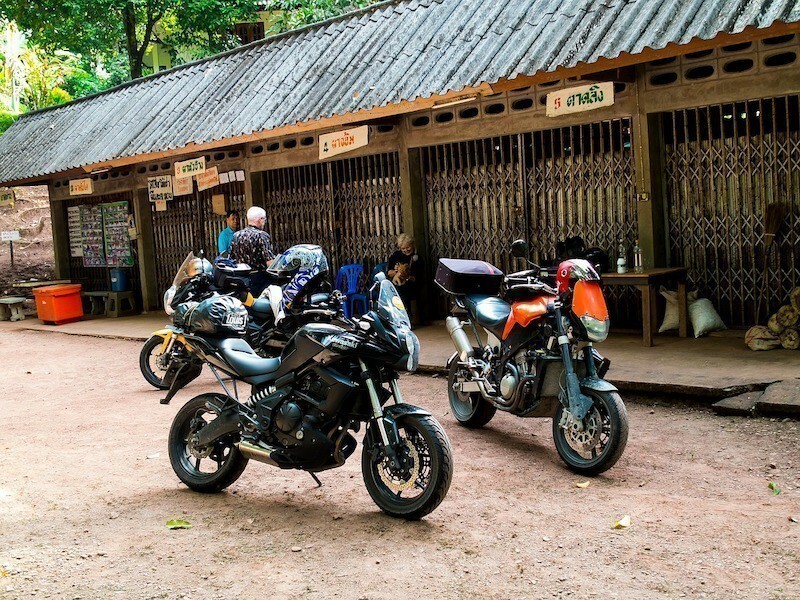 Want to spend your days off with recreational motorcycle rides through green hills or lazing away under coconut palms by the sea? It’s easy to do if you live in Thailand. Thai massage and spa treatments are also plentiful and relatively inexpensive. It’s nice when you work sitting at a computer all day to be able to unwind and loosen up your spine for the cost of a meal. One of the best aspects of the location independent lifestyle is geoarbitrage. Basically that means taking advantage of the differences in currencies and cost of living in various countries to either profit or enjoy a higher quality of life. When you work for clients in the US or Europe, charging the going rate in dollars or euros for your services, and then spend it as Thai baht locally in Thailand—you are able to do much more with your money than you would back home. All these benefits plus more make the cost of living in Thailand quite low when compared to a Western lifestyle. How much of your current paycheck do you even get to see after the government takes their share of taxes out? If you worked freelancing in Thailand through Iglu for your overseas clients, you’d keep a full 70% of what you bill them. And not only are your taxes paid for with the other 30%, but you also get full healthcare coverage, all your visa paperwork taken care of, use of modern office spaces with high-speed WiFi, and all the coffee you can drink. Life is short and the world is a big place with many amazing things to see and experience. Living and working in Thailand puts you in a great position to explore all that Southeast Asia has to offer. 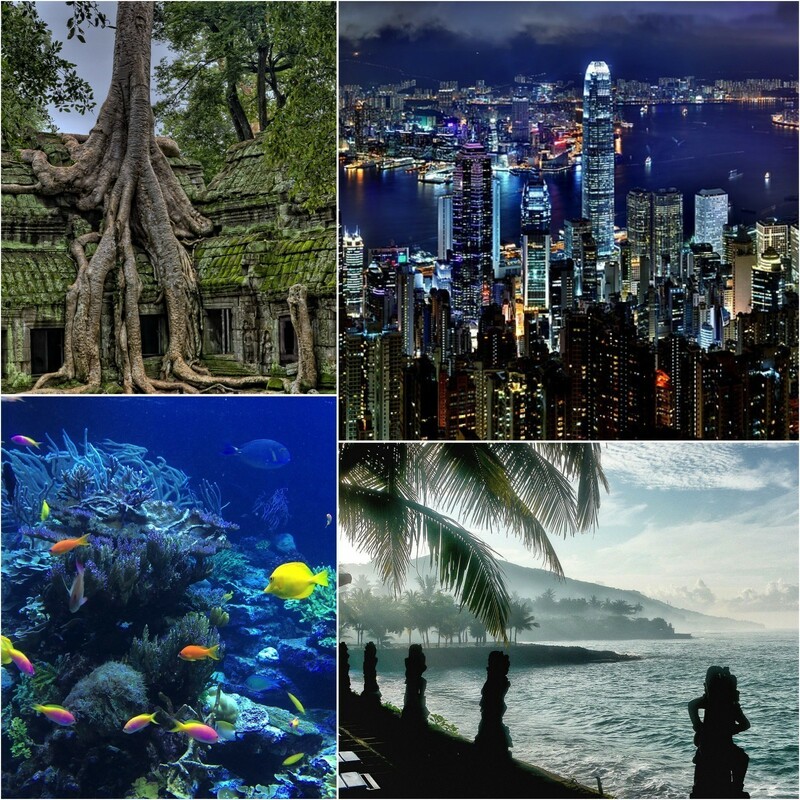 The vast temple complex of Angkor Wat, Bali’s best surfing beaches, and the regional financial centers of Hong Kong and Singapore are all accessible with quick local flights. Why spend every summer holiday going to the same old cabin in the woods when you could be diving among coral reefs or exploring ancient ruins in the jungle? Thailand is a top destination for people from all over the world. By living in Thailand you’ll have a chance to expand your horizons and make new friends with people from every continent and all walks of life. Local Thai people are also very welcoming and interested in meeting foreigners. Many people who’ve spent an extended time in Thailand have gone on to build lifelong friendships with the locals, some have even found the love of their lives. Make working in Thailand happen? By now you might be saying “Thailand sounds great! Sign me up!” So how do you go about relocating yourself to work in Thailand? Well, if you’re a software developer or someone with similar technical expertise, and you’ve got steady work from your clients, then a great option for you would be to join Iglu. This lets you rest easy knowing that you can work in Thailand 100% legally. 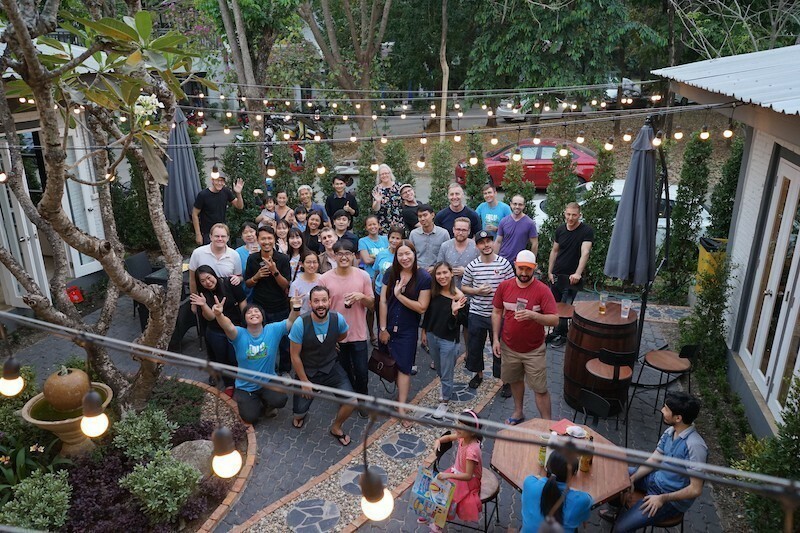 It also puts you right in the middle of a huge community of like-minded individuals from dozens of different countries who have all come to live and work in Thailand for similar reasons as yourself.